OK, so summer’s not exactly over yet, but your inbox and feeds are likely already being flooded with fall newness. It’s inevitable: as soon as August 1 rolls around, the fashion world seems to turn full focus toward post-Labor Day dressing. But here’s the thing: it’s still warm out. And it will still be warm for a while, which means major fall trends like velvet are luxe and lust-worthy, but don’t exactly feel weather-appropriate. Enter the solution: the velvet shoe. Fashion girls have been on to this little trick for a little while now, having started stepping out earlier this summer in velvet heels and flats. Paired with pieces like silky midi skirts and distressed denim, street style MVPs are effectively rocking the trend before anyone else without breaking a sweat. It’s a pretty genius move. It’s easy to see why everyone is going gaga for the typically holiday-centric fabric. Designers sent every incarnation of velvet down the fall runways, from wide-leg trousers to slouchy jackets to cocktail dresses. Dreamy as it all was, draping ourselves in the heat-seeking fabric during scorching temps sounds more like a nightmare. The shoes, however, are perfectly on point for getting a jump on that new-new. Mary Katrantzou finished off her Fantasia-inspired pieces with quirky embellished heels in ornate velvet. Dries Van Noten interspersed bold patterns and metallics with more tailored, menswear-inspired pieces — a theme that continued down to the toes where trouser-style socks were paired with jewel-toned, velvet stunner heels. (Heels with socks is another much-beloved fashion insider hack.) At Giorgio Armani, the smoking slipper was alive and well as flats just feel so much fancier in velvet. What feels freshest about velvet this time around is the idea of wearing it well before the holiday party circuit gets going — and doing it in a daytime way. (Who wants to save their prettiest shoes for evening, anyway?) 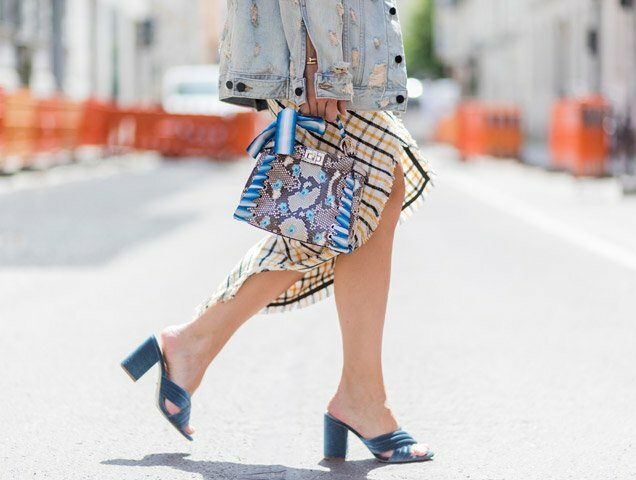 Pairing your plush shoes with summer wardrobe staples like a floaty dress or cropped straight jeans and a tee will keep you looking, and feeling, cool — until it’s time to actually layer up, that is. 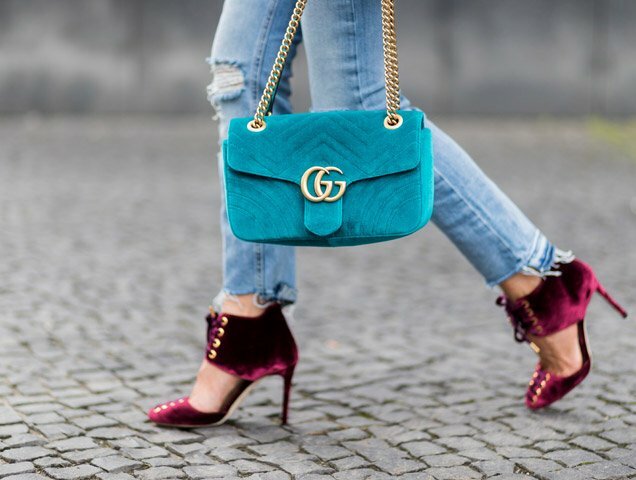 To get you ahead of the game, we’ve shopped out our favorite velvet shoes in the slideshow below.